Recent research suggests that a number of natural treatments can be prevent cavities. If you are not much of one for needles or even if you just prefer making healthier choices for yourself, consider treating (or preventing) your next cavity by making dietary changes, boosting your nutrient intake, using a mineralizing toothpaste, and oil pulling. What Are the Best Ways to Reverse Tooth Decay Naturally? Cavities are the result of tooth decay or the destruction of your actual tooth structure. The goal in treating a cavity is removing the decaying material as well as any bacteria that is causing decay and supporting the development of the tooth to heal. Previously research only supported the typical practice of drilling and then filling a cavity; however, today research suggests that a variety of different remedies can be used to stop decay and remineralize the tooth. 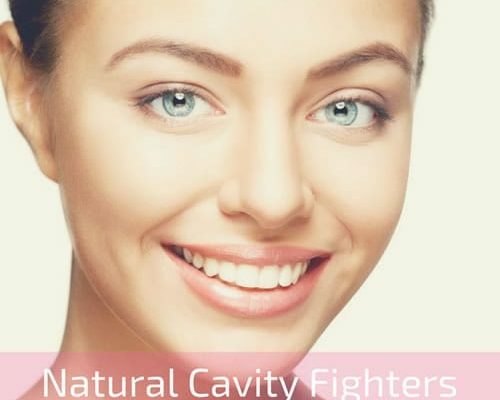 In fact, some of the best ways to heal a cavity include making dietary changes, increasing your nutrient intake, brushing with a mineralizing toothpaste, and oil pulling. Nonetheless, you should always consult your dentist prior to self-treatment. The food you eat greatly affects your overall health as well as the health of your teeth. If you are trying to heal a tooth, considering limiting sugars in your diet as these food particles get into the tooth crevices and actually initiate decay. Likewise, you should eliminate foods high in phytic acid – a mineral blocker and enzyme inhibitor typically found in grains, seeds, nuts, and beans. In addition to eliminating certain foods, you should also focus on incorporating nutrient-dense foods in your diet. You may even want to take daily supplements. It is important that you eat a diet rich in calcium, vitamin D3, vitamin K2, magnesium, and phosphorus. Try to incorporate additional raw and cooked vegetables, raw dairy, fruit, and animal protein in your diet. Consider taking a vitamin D supplement of 5,000 IU on days you are not in the sun. A mineralizing toothpaste helps naturally restore your teeth’s structure. You can typically find mineralizing toothpastes at health food stores, or try making your own using 4 tablespoons of coconut oil, 2 tablespoons of baking soda, 1 tablespoon of xylitol, 20 drops of peppermint essential oil, and 20 drops of trace minerals. Oil pulling is another effective remedy for cavities. Simply swish a tablespoon of oil around your mouth for 20 minutes every day to draw the bacteria out of your mouth hand teeth and naturally restore oral health. Read more about Oil Pulling here. Continue reading below for more natural cure reviews from our readers. Please let us know what you’ve tried! Sounds like a Candida reaction as waves of them die. It's a good thing. The pain – that's detox. Wouldn't surprise me if other systems were inflamed a little, that you got aches and flu like stiffness. Keep at it – but don't take so much so fast. Atomic iodine moves very quickly through your capillaries into your main blood system. Under your tongue especially. I am always trying to figure out what I need to know to put my puzzle together and this article says silica is what makes calcium go into bones and teeth. I want to thank you very much for your post of Oct 25 – it has inspired such hope in me and I have a million questions. 1. I never imagined that teeth renewal could happen – and have lost most of my teeth over the years and now rely very heavily on implants. I have been very discouraged by the continuing erosion of what few teeth I have left and most recently bone erosion in my upper jaw. (Scheduled for surgery on 13th Nov to eradicate a bone infection at the root of one of the implants (Upper left bicuspid). Have read Bill's post below repeatedly dealing with spirochete and am gargling with VCO 2-3 times a day as well as taking Interfase. 2. Comfrey/Knit bone as a remedy in intriguing – and I acquired some leaf recently and will make a tea to add to my arsenal of remedies before the surgery. I will buy some of the cream you suggest as well by Dr. Christopher and use it topically on the jaw bone line. However, I cannot get my mind around the eggshells – is there any alternative that might work as well. 3. You mentioned that you are "letting my teeth heal instead of renewing the dental work". DO you follow a systemic protocol for this process and would you mind sharing? 4. How has the rinsing with Borax and epson salts worked, and is there a reason for the epson salts v Sea Salt? 5. Anything else work besides eggshells to remineralize? My husband had a molar that was bothering him. It as not at the gum line and was bothered by hot and cold and flossing. From past experience, he knew it was a cavity. I mixed him up a batch of Black Walnut Tooth Powder. He used this twice a day instead of toothpaste. Now, about six months later, he realizes that it doesn't bother him at all! It was helpful right away but it took a while for a complete cure. When we used Black Walnut tincture for a cavity on a four year old, it healed up in weeks not months. But kids do tend to heal faster. This could be made without the Diatomaceous Earth. Just use 1 1/2 Tablespoons each of baking soda and black walnut powder. It will be saltier this way, though. Another option is to substitute Bentonite Clay for the Diatomaceous Earth. I am not settled in my mind if this would be okay if you already have fillings in your mouth because of the Bentonite's effect on mercury. That is all I did and the cavity did heal. Herbpharm is a reputable source for black walnut tincture. Thank you for your post. Can coconut oil be added to this solution? Hi Mama To Many and others who have any suggestions. Our 2 year old grandson has 4 cavities and will eat only carbs. We've tried everything (sneaking bits of chicken, fish, meat, veggies) into dishes. It seems the textures upset him and he'll cry – really cry as if his feelings were terribly hurt. Last summer he didn't like to walk on grass, would overreact. This summer we noticed grass is ok, thank God. His speech is also delayed although he's making more sounds, getting some words out. A speech therapist just began coming in 2x a month and he's been tested. They think he had bad ear infections that has slowed his speech. Keeping fingers crossed. Any suggestions on how to help getting proteins and veggies into his diet? We're making homemade tooth paste and a salve with coconut oil and clove, sneaking it on to his teeth during naps and after he falls asleep at night. Thanks and blessings. Have you tried smoothies? The texture is like milkshakes and it is easy to get all sorts of things in. But start simple to make sure it is palatable and then you can venture out. We sweeten with honey, blackstrap or raw sugar. I have put canned beets in my smoothie – it makes it pink and quite pretty! Some will put spinach in, but don't start with a green smoothie, I think. We will add a raw egg to ours, but we have access to our own free range eggs. This is a great way to get in protein. Cottage cheese is another thing to add with plenty of protein. My boys love to add peanut butter to theirs, another great protein source. I hope this will be helpful and that others will have some ideas for you as well. Thank you Mama To Many and many blessings to you. Dear Moma, Today while watching our 2 yr old grandson we started brushing his teeth, he jerked he began crying. I lifted his upper lip and a blood blister about the size of a pencil eraser was on his gum above his front tooth. My heart just sank ~ another dilemma with this little boy 🙁 Within the hour it spread wider and became purplish. He has a dental appt for root canals (the 4 cavities I wrote about above because he's holding his jaw and crying several times a day.) Thoughts??? Thank you in advance. Oh, I am so sorry to hear about that. If he is awaiting root canals, I am assuming this is an abscess? How soon will he see the dentist? If it isn't very soon, perhaps the dentist would see him sooner? For some temporary pain relief and possibly to help draw out infection a tea bag could be held between the lip and gum. But if there is an abscess and he is in pain I would try and get him seen by a pediatrician as soon as possible if the dentist cannot see him soon. If you notice it getting worse instead of better or if he runs a fever, I would go to the ER or an urgent care type clinic. I don't mean to be dramatic, but there are definitely times I would use an antibiotic, especially for a little one. He's two, his diet is acidic and need to alkaline rinse his mouth at bedtime. Marsh, I'm not Moma but maybe check what this child is eating. Too much sugar/junk might be the cause. In addition to the other suggestions given, I might add that perhaps a second opinion before proceeding with four root canals on a two year old would be a good idea. I can’t imagine that another, less traumatizing, route would not be available. Poor little guy! I am so sorry he is suffering like this. Maybe Mama’s suggestion for antibiotics could be tried first, and a pediatrician may have a salve for his gums, also. I hope he feels better soon. What a good idea. Thank you…and it is really a joy to see you!! Hi, just wondered how your grandson was doing. I have used a solution of powdered vitamin C and warm water to rinse my mouth when I've had tooth pain. Hope your grandson is doing well. I would hate to see someone so young go through having root canals. Dear Mama & Concerned Friends ~ since I last wrote, our grandson (now 29 months) had 10 caps (this was a 2nd opinion) in Sept (no root canals). His diet still mainly consists of carbs; he'll eat chicken nuggets, eggs occasionally, yogurt, and cheese. It seems he has problems with the texture of other foods; will stick his tongue out so we can remove the food or he becomes upset. He's seeing a speech therapist who said his tongue is not normally working on occasion, causing him to gag-cough. She thinks the brain isn't able to process putting 3 consecutive sounds together. For example when we're working with him to say 'pot', he says ppp, a and t, but unable to string the syllables together. Since Thanksgiving he is saying 'mom', da da, hi, bye, blue, two. Today, his mom put turkey on his plate which was ok; when the mashed yams went on he had a melt-down. His mom put him down so we wouldn't have an upset child during Christmas dinner and told him there wouldn't be any food after. Changing his diaper today, my sister who daycares him, brought to my attention he's starting to shake his hands and wiggle his fingers (not as in tremor. sorry, hard to describe); he's also done it recently a couple times to her when he doesn't want her to get too him. When desert was being served, he wanted sweets but not allowed. His Dad was eating dessert and telling/teasing him how good it was. When putting on new pants for Christmas; he was tugging and whimpering to take them off. When it was time to leave, his dad carried him outside in a long-sleeved shirt, diaper and little socks in 20 degree weather to get a pair of pants. Next thing we know, our grandson is standing outside on the sidewalk crying big tears for several minutes. He wanted to go to my sister with whom he loves dearly, but Dad said no (they won't allow him to go to her when he's fussing), which only made him cry harder. To boot, he was sick last week with a sore throat and slight fever. Great and Grandparents very upset. Said more than we should have which resulted in an unpleasant end to Christmas. Sorry for the long dissertation, but we're concerned IF there is something physically wrong, this beautiful little boy is being treated like a child without issues. We're sick, scared, angry (mom and dad wear their jackets) and want to protect him but at the same time don't want them to keep him away from us. Any thoughts and prayers would be appreciated. Blessings to all. I am encouraged that the child is going to a speech therapist. This person should have the background to make connections if there are other health problems underlying. So you continue to find ways to help him with his nutrition. But perhaps there is another issue with food absorption or parasites that could be interfering with nutrients in the body. Though you have used black walnut, correct? That can help parasites… Home made bone broth can help with the gut. It may be a trick to find a way to get him to consume it. Home made jello? You could buy plain gelatin (I think green pastures is a good brand) and use juice (100% concord grape is good for health problems and well tolerated by children, usually) to make gummies or jello squares. The hand shaking/finger wiggling – would you describe it as "flapping?" That can go along with speech disorders and underlying health concerns. Again, its good that a speech pathologist is involved. A child that is having difficulty with speech and communication will sometimes have these behaviors due to this frustration with lack of communication. I think feeling stressed can also bring them on. And nutritional deficiencies may exacerbate them. (Magnesium deficiency, would be my first guess.) Here is an interesting article about "flapping." Does he take vitamins? I am thinking of some sort of natural type without artificial sugars or food dyes…. Speaking of which, some children can be very sensitive to artificial sugars, food dyes and msg and this can cause behavior difficulties. Is there a possibility of mercury toxicity? (Living in a house with old paint, possibly some vaccines…) That idea keeps popping into my head. How about a hair analysis? I have not done this before and don't really know a lot about it, but it may be something you could have done for him (discretely if needed) that could reveal any vitamin/mineral deficiencies or any overloads (mercury.) It may be easier to figure out what to focus on with foods and supplements at least when he is in yours or your sister's care. Will he sit still to be read to? Reading to toddlers is really good for their communication skills. It would be something positive you can do. Obviously this child means so much to you and your sister and you don't want to loose the opportunities to speak into his life and care for him. But not only are you trying to help him, you are working through his parents who are having a hard time handling him in a loving and patient way all the time. I would encourage you to try to encourage them in ways you can that are not taken by them as criticism whenever you can. And do what you can for him while you have him in your care, as you do. The communication problem, the sensitivities, the food difficulties may all pass as he grows and develops or they may all be part of a bigger picture; you just are not able to make everything happen as you would if you were the parent. I will pray for wisdom for you and for healing for this little guy…and his parents to have love and patience and wisdom. Thank you for all of your wonderful, thoughtful, caring advice! You heal through your kind words, alone! Thank you so much for your input. His hands aren't flapping, more like sign language but also includes his wrists. He just started this a couple weeks ago, but we've also been concerned the last couple week that he's becoming frustrated not being able to communicate. I researched for hours last couple days and read about "apraxia". He has several of the symptoms. You're right about the vaccines, my gut says the same. His older sister, now 8, has very slight ADHD symptoms and feel the same. His mom feeds them cheap food – yogurt with high sugar content, egg whites cuz yolks are fattening… all this raises my blood pressure as the kids are beanpoles. My sister and I will make the gummies, add walnut in a drink, magnesium, hair analysis, etc. He like to be read to and can sit still. When he's with us, we only feed him natural/organic foods. (We keep our mouths buttoned, it's only when dad does something like take him outside in the freezing cold without clothes. Even when babies, he would take them out – even right after a warm bath when it was cold enough to see your breath. We tell them, "if its cold enough for you to need a hat, coat & gloves, it's a good indication your baby needs to be wrapped in the same. Their response is that they're trying to build up their immune systems.) God Grant Me The Serenity….. Many blessing to you Mama, you're magnificent. This child may have Autism or Aspergers. He may also suffer from sensitivities and have developmental delays. He needs to see a child psychiatrist/psychologist for a major evaluation to assess his needs!!! Best wishes! You asked my thoughts about removing tonsils – my response may not be what is expected from someone who is into natural remedies, however, 5 of my 9 children have had their tonsils and adenoids removed and I have no regrets since the first surgery we had 16 years ago. There have been reports from parents who have successfully dealt with swollen tonsils and adenoids with natural remedies so I don’t doubt the possibility of reducing their size without surgery and don’t doubt that may be ideal. However, there are many less than ideal situations and sometimes the best solution, I think, is to bring relief even if it seems to be a less than “perfect” solution. Many years ago we realized that my 6 year old son had sleep apnea. He would have 20 second breathing pauses all night long. When he was breathing he had terrible snoring. He had not had much sickness and never had strep throat or ear infections that we knew of. A nurse friend encouraged us to take him in to the pediatrician. The doctor found that he tonsils were so swollen they were almost touching. We didn’t actually try any natural remedies (I didn’t know of any at the time.) We went ahead with the surgery. His ENT said his tonsils were some of the largest he had seen. He told us that we may notice behavior changes and an increase in appetite after his surgery. He had surgery at an outpatient surgical center. On the drive home my son feel asleep. I kept checking to make sure he was alive. His breathing was so quiet and I was used to his very loud and labored breathing. I cried to realize how much more comfortable he must be and how much he had been suffering. He hadn’t complained; he didn’t know any differently. After he was recovered, he indeed have an increase in appetite. He had more energy. He was better behaved. I think with the sleep apnea he never had enough sleep which had a negative effect on his daytime routines. He is a sensitive and observant child. With one of his siblings, who ate with his mouth open, he said, “I know why he does that. He can’t breathe through his nose when he closes his mouth to chew.” He knew because that is what is was like for him before his tonsils and adenoids were removed. That child also ended up with surgery. Two of my children were toddlers when they had their tonsils removed. While it seems so young, they had sleep apnea when they were exclusively breastfed and had had no vaccines or even sicknesses. One of my children was 13. He had chronic insomnia which ended the day he had his tonsils out. With him I did spend time using natural remedies first and did not have success. So 5 of my 9 children have had their tonsils out. I have tried to observe if I notice a difference in how they respond to sicknesses and how their overall health is. I don’t see any at all. In fact, when we had whooping cough last year, 9 out of 10 people in our house had full blown cases of it. My adult son who had his tonsils out at 6 didn’t get it, even though he slept in a room with 2 brothers who whooped all night. This son is very healthy and hearty and I don’t see that having his tonsils out has been anything but a mercy and a blessing to his health. This may not be what you expected to hear but it is how it has played out in our family. I love using natural remedies but we do use conventional medicine too. Surgery and blood transfusions have saved my life. With wisdom parents and grandparents can make use of natural, conventional and other means to improve their own health and the health of loved ones. Honestly, sometimes just plain reality comes into play when trying to decide which course to take. My daughter had a puncture wound in the leg from a metal fence last Monday. I immediate began with turmeric, vitamin C orally and charcoal poultices topically. The next day there was redness around the wound and it was painful and hot. While I prefer natural remedies, I know that they often take much more diligence to carry out and my daughter was in her brother’s wedding (later in the week) yesterday. It was going to be a busy week for our family, and the business couldn’t be put on hold. I knew we wouldn’t even be home to be diligent with natural remedies and I was concerned about the risk of tetanus. I took her in and the doctor gave her an antibiotic, which we decided to use and she had significant improvement within 24 hours. Of interest is that I went in thinking she should get a tetanus shot. The doctor said she didn’t need a tetanus shot and that they so rarely see tetanus he didn’t think it was necessary. (Go figure. I have been given a hard time about not vaccinating for years and I go to get one and they say she doesn’t need it!) Anyway, she is almost 100% and danced at her brother’s wedding to boot!) So that is my 2 cents. It’s good to hear from you…keep us posted! My son had ongoing tonsils and ear infections, bad sleep apnea, terrible bite, anxiety… Tonsils and adnoids were removed with no change or improvement. Then someone suggested visiting an osteopath. He immediately noticed the abnormality in the position of his head bones. It can happen at birth or with fall. Cranio-sacral session was done in 15 minutes. Absolutely no pain. Apnea gone, bite improved, anxiety gone, no more infections! In one visit. The best money ever spent. We were back for a check-up and that was it. Just be careful to visit an registered osteopath. Being a parent is the hardest and the most important job in the world. Both you and your sister are doing a wonderful job with your grandson. Mama to Many's reply to you is full of compassion and sincerity, coupled with some incredibly useful advice. What bothers me, though, is the behavior exhibited by the father (teasing his child with dessert when the toddler can't have any, exposing his son to the cold for several minutes when the poor boy was just wearing a shirt, diaper and socks AND when he had been sick with a fever last week, letting him cry alone on the sidewalk). If this is how the dad behaves in front of witnesses, what does he do when he is alone with the child? Not everyone is cut out to be a dad or mom. I don't know the whole story – no one does – except the parents. However, this sounds like child abuse. Do you have someone you can trust to evaluate your grandson? Can you or your sister take him to a pediatrician for a thorough check-up? Is there a pastor or someone else who can guide you on what you can do? I apologize for being judgemental. Children are innocent and it's up to adults to see that they are being looked after properly 24/7. I know it's extremely difficult for you and your sister – I wish you the best of luck. Nonny, thank you for your response. We've been concerned about his dad being too rough too and yes, the word 'abuse' has also surfaced in conversations with various family members. Dad does grab the 8 year old by the arm roughly to where she starts crying/screaming, "My arm, my arm, you're hurting me! " and now he's doing it to our 2 yr old. A couple other incidents I won't go into but we have talked to a counselor who also said the arm pulling would qualify as child abuse. The dad is a good guy, a great dad, he just doesn't know how to handle children. (His mom left when he was a little boy, his dad worked and he raised himself.) Not a lot of common sense, for example, he has the kids sit down and play quietly; then he jumps in front of them like a monkey to make them laugh. Lots of mixed messages that ends up getting them in trouble. I copied and sent your & Mama's messages to my sister. Your points & concerns = ours. My sister addressed taking the babies out in the cold with pediatrician when the mom was present; he said the cold won't affect their well-being. Now you know why the parents think it's ok. Mom trying to present united front with husband, unfortunately at the well-being of her children. Off to make counseling appointment. Thanks again for your kind words and shoulder. Blessings to you. Thank you for such a gracious reply! After I responded to your earlier email, I cringed thinking it was harsh – but it was already sent. However, now that you mentioned the dad's upbringing, I'm wondering if he had been treated similarly by his own father and thinks this is how to be a parent. While one child might consider such rough "horse play" fun (maybe the dad enjoyed it with his own father); another child might live in fear of being hurt. If the parents are open to it (even if only one is), counseling is a great idea. It would go a long way in healing the relationships – between parent and child and, of course, between the parents and the relatives who want to help but don't know exactly what to do. I wish you and your family the best of luck. It will be a challenge but well worth it. Please keep in touch. Take care and best wishes for 2018. I would strongly encourage your daughter and husband to do baby sign language with your grandson. It really is super easy, don’t be apprehensive! Just like teaching a child to wave hi and bye, there are a few words that can help him communicate if he cannot speak yet. Even though he is two it can still help! “Eat, drink, more and milk” are very easy and super useful as those words are frequently used! I currently am doing baby sign language with my 16 month old, and she is already talking (children who do baby signs typically speak sooner), I also did baby sign language with my other two children). Also, perhaps your grandson may also have a tongue tie. For some reason it popped into my head when reading about his eating issues. It’s when the tongue membranes are attached on the sides or roof of his mouth. You can have him try to stick his tongue out of his mouth and see if he can. Also do more research about it& there are doctors that can help, with that. Marsh 57, my heart goes out to your grandson and to you. My advice is small, but perhaps it's a step in a healthy direction…vegetable powders are my secret ingredient. My veggie-hating family/friends eat all kinds of veggies because they don't know I use them. Some powders can be bought online, though I dry and powder most of my own (a dehydrator and a spice grinder or a high-speed blender). Squash powder is so mild and neutral colored, that it can be hidden in almost anything. I replace 2-3 tbsp of flour for every cup of flour in a baked goods recipe. I add 1/4-1/2 tsp beet powder to yogurt (can't taste the smaller amount) or chocolate muffins. Just about any veggie can be dried and powdered, and a few pinches can be cooked into or sprinkled over almost any dish. What a great idea, Nikki! I am sure this will help many people! Beth and Nikki, thank you for your suggestions. I researched for days and day and discovered our little boy had apraxia symptoms. Shared with parents and they've had a speech therapist working 2 days a week with him. My sister who watches him, called this week to say she's been giving him fish oil for 2 weeks and was so excited to see him saying 2 syllables or 2 small words together, even though he's not annunciating fully. It's a start! I've found a local therapist who's son has apraxia. She's written a lot about it and has a website. She's concerned that I ID'd the issues; her suggestion is to speak to other therapists who know more about apraxia. He's eating a little more. Mama's suggestion of smoothies is something he loves (vegan protein powder goes in); and now willing to eat scrambled eggs. Thanks to everyone – you're a blessing to more than just me. Beth, we're using sign language which helps, but the signs aren't as clear as with other children. We've been working with him – drinking and blowing bubbles through straws to help strengthen tongue muscles and coordination, and a lot of the exercises depicted on pin terest (don't know if I can mention the site, but it's been quite helpful). We visited with a family who has a 3 year old and he's light years ahead of our grandson in speech. That has scared me but at least we now know what it is and we're moving forward. I'm trying to get the family to drink filtered water; to avoid metals, fluoride and chlorine, as well as things for the bath water. It's a learning experience. Thanks again for your suggestion. So hard to have to stand back and observe a beloved child suffer and to see that it is due, in part, to indifferent parenting. I'm a Nana myself, but one to whom my daughter looks for guidance and consult on diet, nutrition, vaccines, and all. I cannot imagine holding back with parents who are so indifferent to the multiple tactile sensitivities of a wee child as to purposefully expose him to painful stimuli. The poor dental health is dietary and brushing and the treatments as recommended above should help; you are getting some wonderful advice! He really needs his overall environmental toxin loads and nutrition addressed. I would go utterly mad in my impatience for these key issues to be addressed. What pings for me is the possibility that this child is simply one who isn't going to speak until age 5 or so, as is still in the normal range for kids. I also thought of tongue-tie, a condition (easily correctable) where the band under the tongue is too tight to allow for speech. Also, of course, chronic ear inflammation and or infection causing speech delay; this can be both dietary and environmental. But, the biggest one is possible vaccine damage, causing symptoms related to the autism spectrum disorders. Mercury poisoning and the resulting issues can be reversed with suppls and diet. I would be def doing the hair testing and keep trying to add in what his little body needs to heal. I would be sitting those parents down for one of those talks, but Native culture is different and we Elders are looked to for our knowledge and guidance. Very different from the typical family system. Blessings and hope to your little ones and all of your family. I pray that you can step up to and beyond that line drawn by their parents; these children need your help. There is nothing more precious than our sacred little ones, they are our future and we are here to help them with our love and wisdom. Best to you and yours. Dear Natalia, My sister and I are very much a native culture like our parents and grandparents before us. We listened to what they said and appreciated their wisdom (even though as kids, we rolled our eyes! And, believed then prescriptions were better). This generation however takes our suggestions and wisdom personally and believes we're being critical. Nothing further than the truth. I'm also concerned about vaccine / metal poisoning. When his hair grows out a little, I'm cutting to have tested. One other question… our little boy is having more than usual issues with his neck glands swelling. My sister who watches him thinks it's his tonsils and they need to be removed. I on the other hand believe tonsils serve a purpose and he's too young and sensitive to go through such a procedure at 33 months old. Any suggestions? Also safe supplements to help with metal chelation based on Natalia's suggestions above? In continued gratitude to you and the others who have had wonderful suggestions. Blessings to you all. This is an update on our little boy who recently turned 3. We've been concerned due to him getting a fever and sore throat once a month, like clockwork. Blood workup just revealed low IGA immunoglobulin a, Crp 8x (C-reactive protein (CRP) substance produced by the liver that increases in the presence of inflammation in the body causing an elevated C-reactive protein level) and a 3x ESR (erythrocyte sedimentation rate). His speech is improving. We do believe the probiotics and fish oils have made a big difference. His vocabulary is improving, some words are spoken clearly, still others aren't. He's stringing 4-6 words together. Such a happy little guy. Doc scheduled appt with allergist. Suggestions and prayers welcome. So good to hear an update and happy about his progress! Great job on your own sleuthing on remedies for him and faithfulness to help him. In another post you asked about the possibility of using borax as part of treatment for him. Honestly, I would not give borax to a child. If it ever became known that you had done so, it could leave you in a heap of trouble, even if you use very small amounts for the boron. If you are thinking boron would help, I would check into a boron supplement as they are not expensive. You have tried many things and I can't recall what all I have suggested in the past, so forgive me if I repeat myself. We have used nettle, kefir, coconut oil and iodine for auto-immune problems in our house with good success. Nettle is wonderfully gentle but powerful. Not sure how to have him take it – perhaps in a tincture. You could give him 5 drops 2-3 times a day. It isn't strong tasting. I had my grandson this past week; he awoke yesterday morning and afternoon nap, coughing. Tried to peek at his throat, a challenge to get his tongue out of the way, but noticed his throat looked closed. Called my sister who babysits him (not much now that he’s in preschool). She has mentioned her concern several times to his parents – that the tonsils could be retaining toxins/germs. The parents said the doctor wasn’t concerned. As we spoke, we thought if this is typical for him, perhaps this is why he won’t eat anything but soft food. Perhaps it hurts or uncomfortable to swallow. What are your thought about removing tonsils? Many thanks once again. Our grandson had his appt with infectious disease at a children’s hospital this week. He was diagnosed with P-fapa (a condition, typically starting in young children, where high fever occurs periodically between 3–5 weeks). A previous IgA test revealed gluten sensitivity with markers for Crohn’s. This test was done previously via a lab who diagnosed my off the chart gluten sensitivity, but this doctor poohed it, saying gluten sensitivity cannot be tested via a poop test. Has anyone heard of this and how to combat it or have insight on the poop test being reliable? Doc also said to allow the 103 fever to run its course without meds (so his body will rest/sleep as the over the counter meds take the fever down. When this happens he’s busy playing which runs his body down for the fever to come back). Hi Mama, thank you for the caution and suggestions. He has been taking a multi, probiotics and fish oil. I took him in for rife 5 times this week. The naturopath scanned with Zyto. Said his adrenals & immunity are taxed from fighting all these infections. The scan revealed bacteria, fungus, parasites (trichinella spiralis, fasciola hepatica & toxoplasma gondii nos), chemicals (gramozone, urethan, trihalomethanes); imbalances in amino acids, digestive enzymes, essential fatty acids, probiotics & nutrients; some low neuro transmitters, hormones & thyroid; put him on cell food, phyto multi vitamins, primadophilus optima, omega 3,6,9, an advanced enzyme system… and recommended he avoid gluten and dairy. She also suggested not sending him to preschool so he can have time to heal and rebuild a healthy foundation. He did so well during 54 minute sessions. When the pads moved off, he would put them back on. It was as if he knew they were helping him. His coloring improved significantly, and he was sleeping at night for 10 hours without waking up (he normally wakes in the middle of the night and doesn't go back to sleep)! Doc said the trichinella can only be seen in stool. Mine was revealed via a blood test. Why they didn't find his via blood test 2 weeks ago is baffling. Will incorporate your herb suggestions for immunity. This works nicely! I swished a tablespoon of coconut oil around my mouth for ten minutes and now two cavities in a molar are now cleaned out. There is none of the black gunk left in the molar. Now that it is clean my tooth can heal hopefully. I had previously brushed and brushed repeatedly and that black bacterial gunk just wouldn't budge. Kayla, you are in Indiana – find a Trader Joe's, they have their own brand of virgin, organic, unrefined coconut oil that is perfect for oil pulling, cooking, body application, etc. I oil pull daily to keep my gums healthy. About 20 minutes every morning. If I didn't, lodged food particles inflame my gums over time. Oil pulling is a lifetime commitment to my health daily. You can also add turmeric and a bit of baking soda into coconut oil, that helps as well. I have been using iodine to cure cavities for about 40 years. It works great. Organic iodine from the health food store is probably best but I've mostly used the ordinary stuff from the drugstore. If you have active cavities and perhaps toothache as well, put 10 or 12 drops in a small amount of warm water (about a mouthful) and swish it around your mouth for 30 seconds or so. Then spit it out. You will notice most of the colour is gone. Do this many times throughout the day. Soon your toothache will stop and you'll see recalcification on your teeth. Don't stop using the iodine but you will find you can cut back a lot. I usually now use a couple of drops twice a week. If you have big cavities you should get them fixed when you can afford it. Otherwise, if you forget your iodine for a couple of weeks the cavities will start to bother you again. I had a dentist remark that I had "many small cavities that have healed over" which surprised him. I did this iodine treatment for about 25 years, then stopped for years to see what would happen (no problems) and have now started again once a week, two drops. Don't swallow the iodine and water mixture! Spit it out! Don't stop using it unless you get large cavities fixed! The only new cavity I've had in more than 40 years is one that was deep inside a gum. I guess the iodine couldn't reach it. Hi Njoy, thanks for the tips. I live in Malaysia and I have the black marks appearing on my teeth, so was wondering what brand of Iodine drops you use. I've been doing oil-pulling for close to 2 years now, and I don't see much improvement, so it could be the brand of coconut oil that I'm using needs to be higher quality. I saw that some of you have recommended Lugol's 5% solution, but it's looking quite difficult to get here, and shipping is costly too. Would Life Flo Health, Liquid Iodine Plus also work? Looking forward to hearing from you! Thanks. I am going to try this…. I have a hole in my tooth and now my teeth is getting grey and my breath is starting to smell. Hi guys, I tried using iodine (J Crow's Lugol Iodine 5%) to heal my cavities, and I got the worst burning sensation on my tongue. I used 10 drops and swished it in my mouth for about a minute, and by the time I spit it out, my tongue could no longer taste anything. I also had terrible gas, and had to consume large quantities of aloe vera concentrate to soothe my stomach. It's been three days now and my tongue is slowly healing. On the other hand, I did see a lot of the black stuff from my cavities come out (not everything as I had to spit it out). I don't know why but even taking one drop causes gas in my stomach, so to those using this method, just be cautious please. It does help, but I really wish that Njoy had stated specifically what brand of iodine she was using, and how many percent it was. Using 10 drops of the 5% was hell! Writing again as an update, I decided to put the Lugol's 5% iodine on my brush and brush making as little contact with the tongue and walls of my mouth, for about 15-30 seconds. This has helped slightly more in ridding my mouth of the black stuff from my cavities. Not completely healed. I still can't do it every day as suggested as there is a burning sensation. 5 drops a day should be fine, but the 10 being suggested still gives the burning sensation and a very unpleasant taste in my mouth, so hope that those using this method will benefit. I had a similar experience using nascent iodine on some tooth pain I had last night. I put a drop on the few lower front teeth that felt like they were hurting and also swished some colloidal silver. Within 30min pain was gone and hasn't come back. Nepheryte, Iodine can temporarily disrupt your gut flora if you swallow it. So take extra care not to swallow any. If you continue to have trouble then do the iodine treatment on an empty tummy, ie. wait at least two hours after a big meal – otherwise it would mix with the food in your stomach and disrupt its fermentation. Are you diluting it enough? Hey. No, I didn't know that I had to dilute it. How exactly do I use this for cavities? I actually stopped using it because it was so unpleasant. Oh my God! Thank you so much for sharing this remedy and your experience. I am going to try it and hopefully this is going to work for me as well as it has for you for 40+ years. I've been doing coconut oil pulling, but it is not having an effect on my cavities although it is making my gums very healthy, so I love oil pulling, too. You mention that if you have big cavities, do not stop using the solution. My question is does this solution and frequent use every day reverse and heal big cavities? Are you saying this only for those with toothaches with large cavities? Thanks for your prompt answers. Every dentist should disinfect each patient's mouth before a cleaning. The best and most effective way to do this is to swab all teeth and gums with 2% tincture of iodine and leave in place for 30 seconds. This form of iodine will kill S.Mutans (the bacteria responsible for decay) and in studies by P. Caulfield it takes about 4-6 months for recolonization to occur. This research followed children for several years and in double blind studies, it reduced the formation of decay by about 80%. This technique should be just as effective in adults. When you wrote about swabbing Iodine on the teeth, what do you use? I tried it with a cotton bud and the Iodine seemed to stay in the bud and not transfer to the teeth/gum line. I also have a 2mm black cavity on the side of my rear molar which is only visible with a mirror, I would like to place a drop of 3% Lugol's Iodine in the cavity but it is very difficult to do because of the position of the cavity/caries. The best iodine is 2% tincture which can be found in any drugstore. Using a q-tip just dab a drop anywhere on a tooth. This iodine has a very low surface tension which means it will run into every nook and cranny. Studies have shown that 2% tincture will kill S. Mutans and keep it under control for about 4-6 months. It might be beneficial to mention that most forms of liquid Iodine can be toxic if swallowed. If Iodine must be consumed, Potassium Iodine is the best way to ingest Iodine without fear of toxicity. Please be careful when using this method as swallowing enough Iodine can be fatal and has been used as a method of poison in the past. You must dilute lugol's before using. One drop of 5% to 4 oz water before swishing. My father practiced dentistry for well over 50 years in New Orleans, La. He took great delight in encouraging nutritional dentistry. The patients saliva sample was sent to a State of La. lab, which then forwarded their PH reading back to him. Today, PH strips do a faster job, and probably just as good. My dad recommended elimination of all sweets, except for fruit and vegetables; plus rinsing the mouth after eating anything.